In 1998, Cuban citizens Ruben Campa, Rene Gonzalez, Gerardo Hernandez, Luis Medina and Antonio Guerrero were arrested in Florida. They were tried and convicted of using false identification, espionage and conspiracy to commit murder. All five were convicted in December 2001 and awarded sentences ranging from 15 years to a double life sentence. The five have always claimed they were protecting the people of Cuba from assasination attempts and terrorist plots by anti-Castro exiles living in Miami. However, the U.S prosecution claimed their actions were unlawful and the men subsequently made a series of appeals to try and overturn the decision. A new hearing is scheduled for August in Atlanta, Georgia where three appeal judges will decide whether to overturn their conviction and grant a re-trial. In the first ever media interview given by any of the prisoners Newshour's Claire Bolderson spoke to Gerardo Hernandez from his maximum security prison in Victorville, California. Portions of this transcript in [bracketed italics] are part of the 16-minute raw audio and were not part of the 10-minute edited broadcast. The more limited transcript of the 10-minute portion only is online here. Claire Bolderson: Well next month, a court in Florida is going to hear an appeal in a case that sums up much about the relationship between the United States and Cuba. 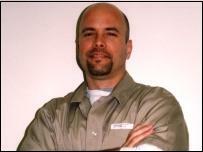 Gerardo Hernández and four other Cubans were convicted in Florida in December, 2001 [sic: June, 2001] on a range of charges including trying to obtain U.S. military secrets, spying on Cuban exile groups, and, in Mr. Hernández' case, conspiracy in the deaths of four Cuban-Americans whose planes were shot down by the Cuban government in 1996. In the first-ever media interview given by any of the five prisoners, I spoke to Mr. Hernández on the telephone from his maximum security prison in Victorville, California, and asked him to explain his story from the beginning. CB: [You were convicted on a number of counts, including one of them was trying to obtain US military secrets, by trying to infiltrate a base, and for acting as an unregistered agent for a foreign government.] Can you explain to us what you were doing in Florida in the first place? CB: But you do acknowledge that you were working as an agent for a foreign government, and in one of your defense statements you do say that you were working with false documents, false identity documents? GH: Yes, I do acknowlege that. GH: [Yes, it is,] but there is something called "necessity defense," that says that if [in order to prevent a wrongdoing], in order to prevent crime you have to violate a law, you can understand that. In my case, yes I had fake I.D., I was working for foreign government, but not to affect the U.S. interests, but to defend Cuban interests, to defend the Cuban people from terrorism. CB: And the crimes you were trying to stop, what exactly were they, the crimes? CB: There is one very contentious charge on which you were convicted and the reason why you are serving such a long sentence – the shooting down by Cuba of two civilian planes from the United States in 1996. Did you have any role connected to that? GH: [Nothing!] I was in Miami and the plane was shot down in Cuban waters, a long way away [from me]. CB: So you didn't pass any information that would have helped the Cuban government to shoot down the planes? GH: No, of course not. If you go to the records of those times, you will see that José Basulto announced way before the trip, he said "we are going there on February 24." Everybody knew that. [We presented in our trial a memorandum from the U.S. government, one agency, the Federal Aviation Agency, telling their people "Hey, he's going to do that on February 24th, we are concerned that something is going to happen, because Cuba already said if they do it again, they're going to be shot down, so we'd better have all the ducks in a row," that's actually what the memo said. So everybody was expecting that something would happen, we even in our trial, Richard Nuccio, the former advisor to President Clinton, he was at the trial and said, "Yeah, that organisation was out of control." There is a long dispute over the incident and Cuba says they shot the planes inside Cuban waters according to Cuban radar, the U.S. says that one plane was in Cuban waters but the two that were shot down were heading there but in international waters.] And the government charged me for conspiracy, and they said that is because I knew that the plane would be shot down, and because I knew that the plane would be shot down over international waters, which has no sense at all. It's something crazy, but they need to blame somebody and they chose me. CB: You have an appeal coming up. What will be the grounds for your appeal? GH: [Well, we have different issues in our appeal. The main issue, which we really wanted and unfortunately was reversed, is a venue issue -] We argued that the trial wasn't fair in Miami. Our trial lasted over seven months and there were over 100 witnesses. The jury deliberated a few hours and they didn't ask a single question. They just found us guilty on every single count, and then the judge gave us the highest sentence possible on every count. CB: And you say that that is because of the influence of the Cuban exile community in Florida? CB: So you think the jury was intimidated, or even tampered with? Was it as serious as that? CB: Cuban leader Fidel Castro in the past has taken quite an interest in your case and he's spoken on your behalf. Have you heard from him directly at all? CB: And what did he say?